I can’t believe our summer is more than half over already. We’ll all be back at school the first week of August, and there are still so many things we need and want to do before we’re all back in the classroom. Scheduling time for doctors and optometrist appointments have been last on the priority list, however, they still need to be done. To save time, I was connected with the associates of EyeQue,leading vision technology company that creates affordable at-home vision monitoring devices bringing the power of the optometrist right into your own home. The associates at EyeQue sent me the EyeQue Insight. 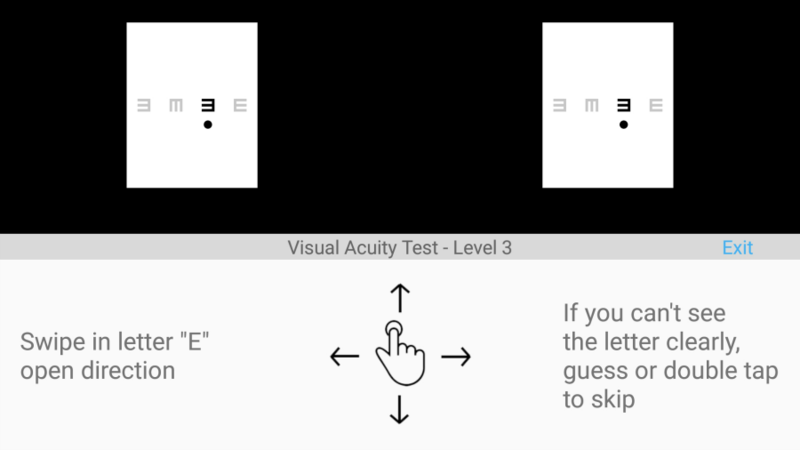 The EyeQue Insight (powered by an MIT alumnus), that tests visual acuity (20/20 vision) in just one minute. There’s even a setting specifically to keep kids engaged! One device is good for the entire family and can test the accuracy of existing prescriptions or let you know when it’s time to visit the doctor if your results are off. 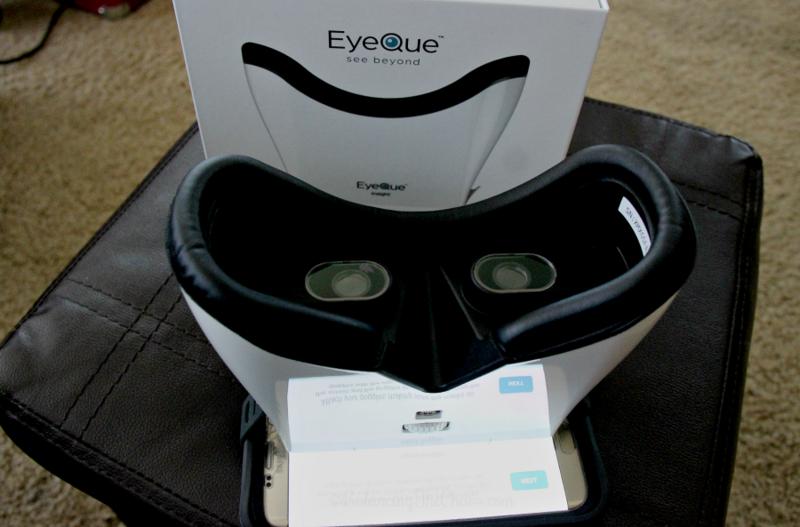 Once we received the EyeQue Insight, we downloaded the app (details found inside the packing materials). We set up the app on my Samsung cell phone as well as an account with EyeQue and we were ready to start testing. 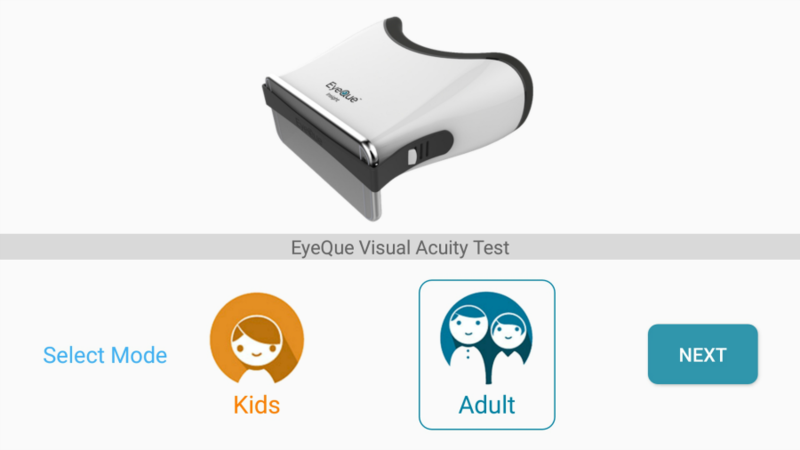 First, you need to make sure you have the EyeQue Insight set up correctly by measuring your pupils in the view finder (Basically, making sure you can see an icon clearly though the view-finder). Once that was complete, we were ready to take our test. Once you choose your test, you select either whether you’re testing for an adult or a child. Then you start the test. 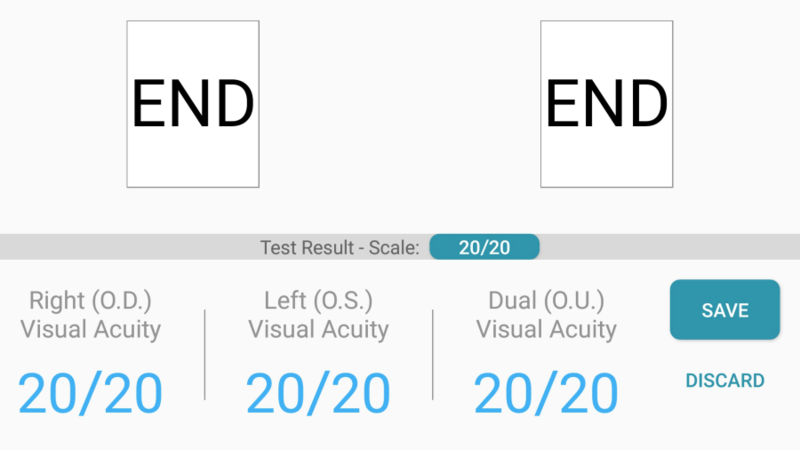 I completed the Visual Acuity Test. It’s really quite easy. You will see a series of “E”s, and you swipe the device screen as to which way the “E” is opened to. When you are finished, your results are posted on the screen. In checking my distance vision, my results indicated I am at 20/20, which I suspected. I also tested my husband’s distance vision when I was finished, and he had the same results. However, he has been mentioning his eye sight for reading has been changing in the last few years. 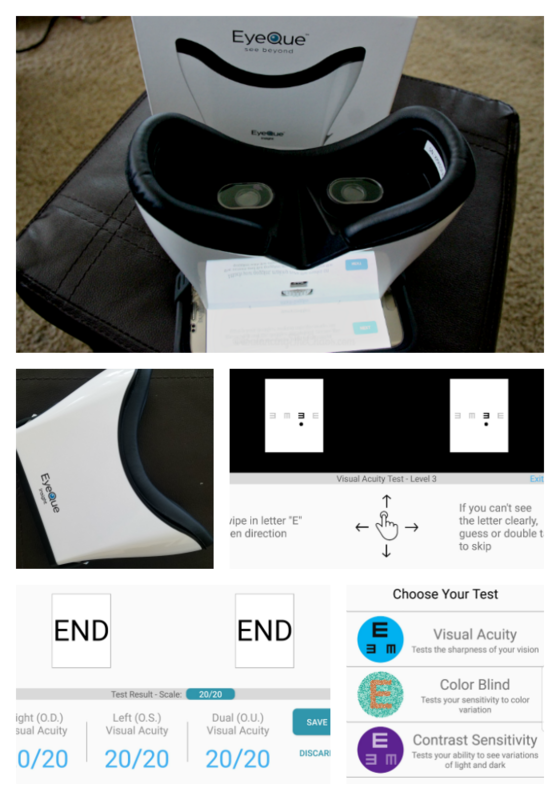 While I think this test is a great option for testing your distance vision at home, however it is not a good indicator for reading vision, because my husband had Lasik surgery roughly 15 years ago and is now starting to experience issues with reading small print, and is probably in need of reading glasses. However, in testing my children, they thought it was fun. 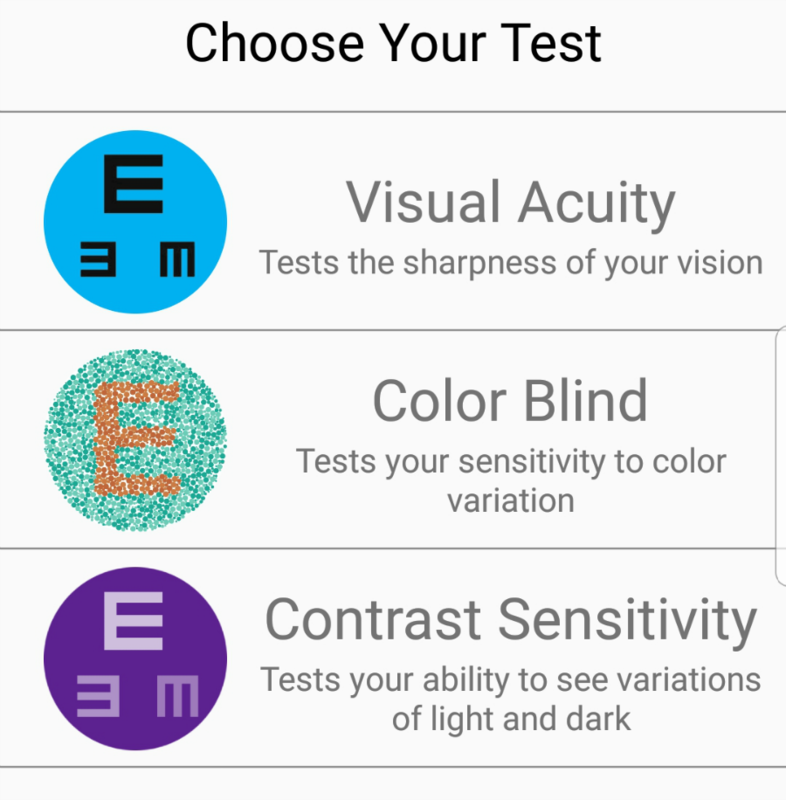 They both did the EyeQue test with the EyeQue Insight and the children’s option in the app. They said it was fun, engaging and really easy to do. Again, they both ended up with 20/20 results. While I think the EyeQue Insights and tests are a nice addition to check your vision at home, I would recommend continuing annual examinations with your optometrist as I’ve shared here: The Importance of Eye Exams At An Early Age. Interested in checking out a device? They’re $89 right now and available at https://store.eyeque.com/.